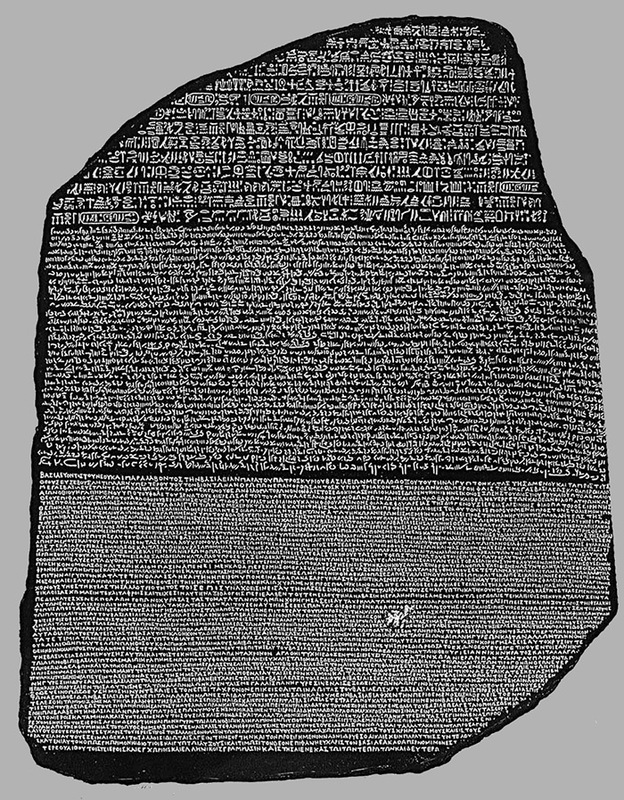 The real Rosetta Stone is an ancient Egyptian black granite monumental stele (flat vertical stone monument or column) inscribed with a decree issued at Memphis in 196 BC on behalf of King Ptolemy V.
This fragment of a larger stele, was rediscovered near the town of Rashid (Rosetta) in the Nile Delta in 1799 by a soldier, Pierre-François Bouchard, of the Napoleonic French expedition to Egypt, who was checking building material for the construction of military fortification! It is considered as one of the main findings that has enabled scientists, decode ancient egyptian hieroglyphs. 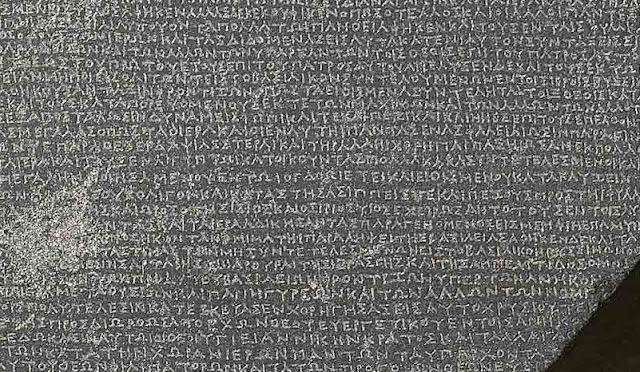 This is mostly due to the fact that the inscribed decree appears in three scripts: the upper text is Ancient Egyptian hieroglyphs, the middle portion Demotic (late egyptian) script, and the lowest Ancient Greek. Because it presents essentially the same text in all three scripts (with some minor differences between them), it provided the key to the modern understanding of Egyptian hieroglyphs. The text was written by a group of high-priests in Egypt to honour pharaoh Ptolemy V and lists all of the things that the pharaoh has done that were good for the priests cast and the people of Egypt. British troops defeated the French in Egypt in 1801, and the stone came into British possession. 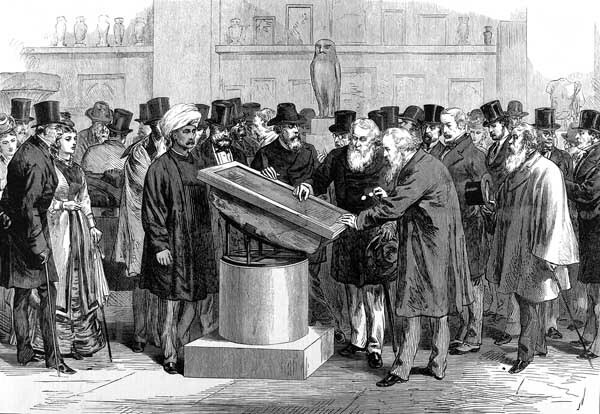 Transported to London, it has been on public display at the British Museum since 1802! 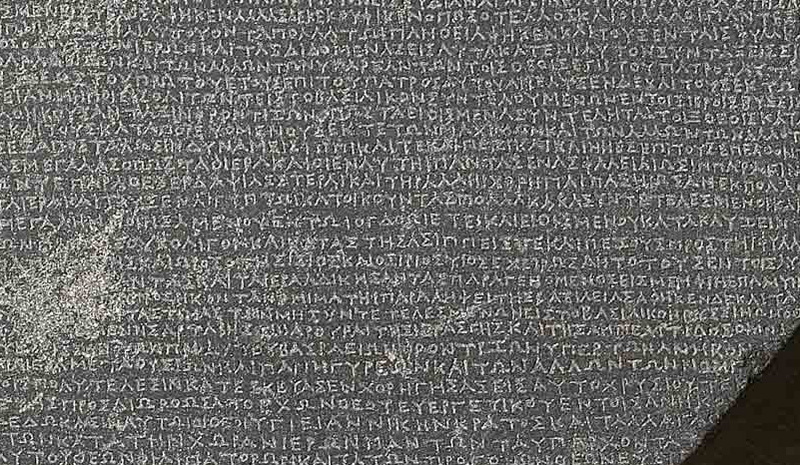 Rosetta Stone today is also used in other contexts as the name for the essential clue to a new field of knowledge. 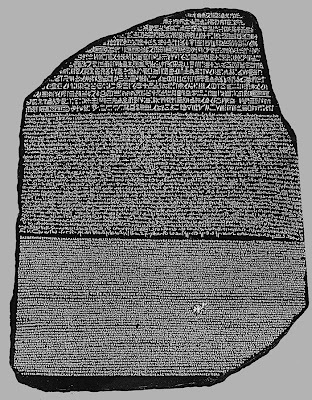 I've always found it fitting just how black and sleek the Rosetta Stone is, much like the band.